Dr. Matthiesen is a board-certified veterinary surgeon that travels to Urban Vet Care and specializes in Orthopedic, Neurologic, Oncologic, Thoracic and Abdominal surgeries and surgical emergencies. He received his Veterinary Doctorate degree from Colorado State University in 1979, followed by an internship at the West Los Angeles Veterinary Medical Group and a residency at the University of Pennsylvania. With over 30 years of experience, Dr. Matthiesen offers a substantial amount of experience and expertise. When needed, Urban Vet will work directly with him to schedule a surgery for your pet.  Dr. Arble, of Veterinary Imaging Consultants travels to Urban Vet to perform ultrasounds for your cat or dog. Dr. Arble is from southern New Mexico and graduated from New Mexico State University before attending the School of Veterinary Medicine at Louisiana State University. He spent three years practicing small animal and exotics medicine and surgery in Las Vegas, NV and Phoenix, AZ before training in veterinary radiology at Ohio State University. After completion of his residency and earning a concurrent master’s degree Dr. Arble was a faculty member at Oklahoma State University for two years before coming to the Front Range and establishing Veterinary Imaging Consultants. Dr. Valdés, also of Veterinary Imaging Consultants is a class of 2000 veterinary graduate from the Universidad Autónoma de Nuevo León in Mexico. Several years of general practice, both in private referral hospitals and academia preceded a 3 year specialty training in veterinary radiology at The University of Pennsylvania where he graduated and became board certified by the American College of Veterinary Radiology in 2008. Subsequently, Alex joined the faculty at Colorado State University as an Assistant Professor in Diagnostic Imaging. After 5 years in academia, he started a tele radiology practice and recently joined Veterinary Imaging Consultants in the Denver area. Larry J. Klima is board certified by the American Veterinary Dental College. Since 2007, he has provided a specialty service in small animal veterinary dentistry and oral surgery, and offers in-house training seminars for veterinarians and their technical staff. Dr. Klima routinely travels to Urban Vet Care to offer specialty dental care. Typical procedures scheduled during Dr. Klima’s visits include complicated extractions, root canal therapy, periodontal surgery, oral tumor resection, reconstructive surgery, fracture repair and consultation by appointment.